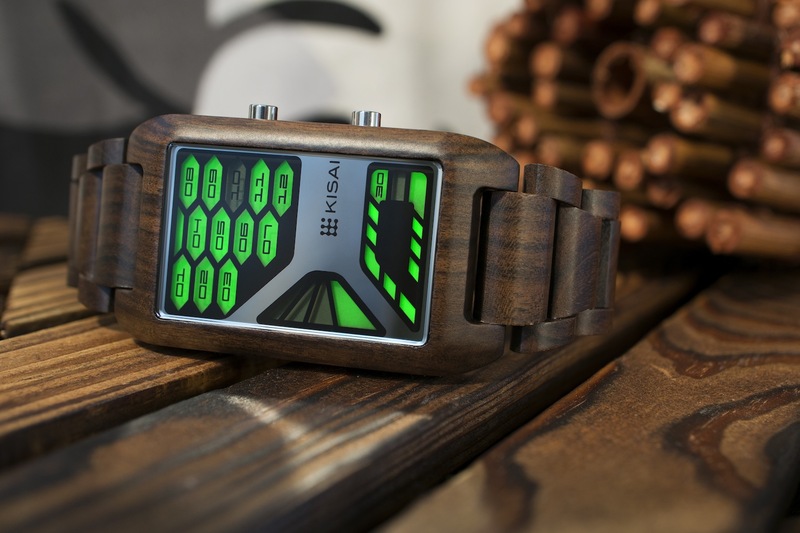 As well as time and date, Kisai Space Digits wood has a built-in alarm, an EL backlight and a custom designed animation which will send the display into a spin every 15 minutes. Available in two styles; red sandalwood with dark sandalwood and green LCD and maple with red sandalwood and gold LCD. 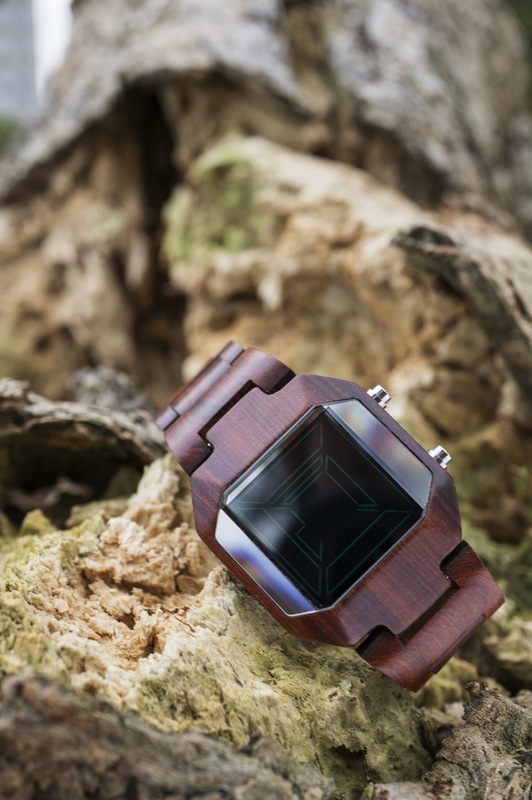 The watch has been made in very limited quantities. Categories: Tokyo Flash, Watch Blog | Tags: Tokyo Flash | Permalink. Categories: Tokyo Flash, Watch Blog, Watch Brands | Tags: Japan, Kisai Console wood, Tokyo Flash | Permalink.